Make your way on over to the QBMX website to check out a fresh bike check with Stolen‘s Jackson Ratima. While we’re at it… Check out Jackson’s latest print ad for Primo below as well! Head over to the QBMX website to check out Mike Kluver’s super clean Deluxe setup. I’m pretty sure that’ll make any trails rider drool. Well, another year has come and gone and this years Frostbike is done until next winter. This year definitely brought a good number of new products to check out from all the brands which was nice. There’s definitely that chance that not much has changed since Interbike in September, so the trip up this year was more than worth it. I’ve gone through all the photos from all the booths and posted them up for you to check out now. Below you can find links to each booth! Give it all a look. I’d like to give a shout out to all the brands who had people at their booths to give me the low down on all the latest and greatest from each brand. I’d also like to thank QBMX for letting me come in and check everything out! Until next year! The final stop at Frostbike. 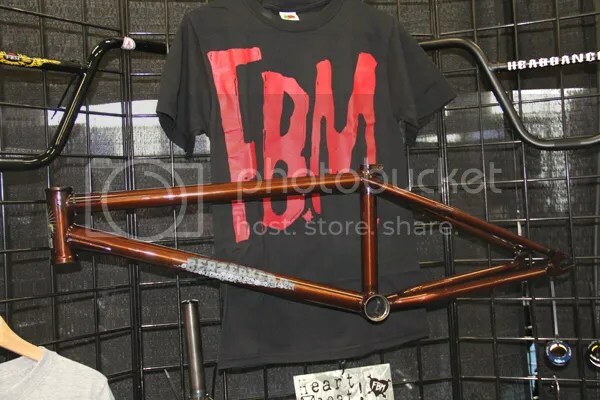 Here’s a quick look at what FBM had on display this past weekend. They had a fairly small setup, but as always, some quality made in America goodness like their Berzerker frame. Let’s take a look! Frostbike 2013: Stolen Bike Co.
Keeping the party going… I rolled on over to the Stolen booth to see what was new with David Wootten and to check out what they had on display. They’ve got a few fresh items for you to check out, so let’s get into this! 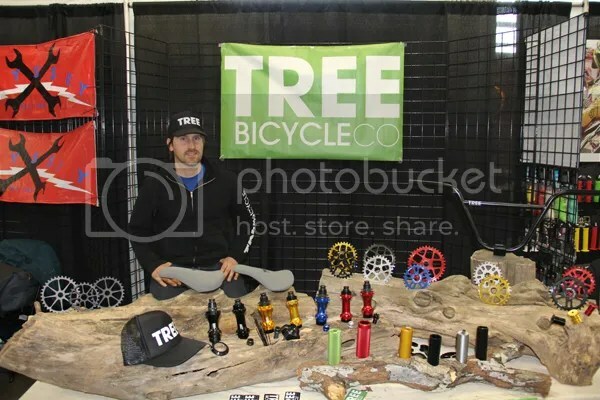 Frostbike 2013: Tree Bicycle Co. 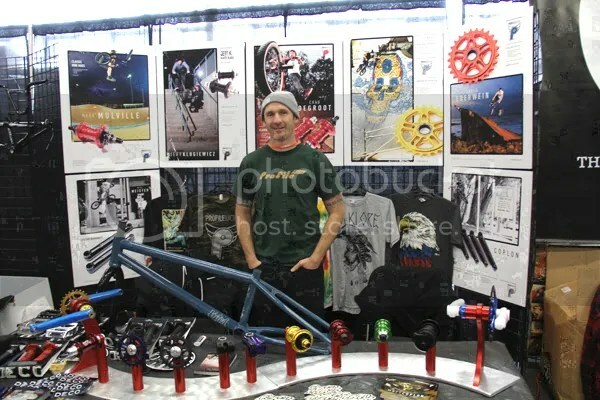 I made my way over to the Tree Bicycle Co. booth to see what Sam was up to and to take a look at what he had on display. As always, Sam brings plenty of unique and well designed products to the table, so let’s get a closer look! 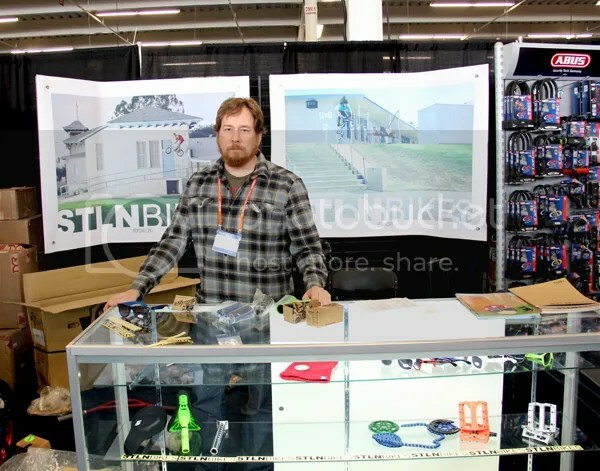 The annual Frostbike tradeshow that QBP has been putting on the past few years has continued to grow and get even better. I was fortunate enough to make it up to check out the show again this year after a year hiatus. The event is one that I look forward to every year, so I made sure to have my ducks in a row this year to make sure I could get in. Walking into the show, I knew exactly where I was going and figured my first stop would have to be at the Profile Racing booth to say what’s up to Matt Coplon and get a look at what they had on display. Let’s take a look! The Shadow Conspiracy dropped this video from the shop stop they did with QBMX at East County BMX a little while back. Looks like it was a good turn out and everyone had fun. Check it! “A few months ago we held a contest in conjunction with our distributor QBMX where one lucky winner would win a KIL Tour stop at their shop. The fine folks at East County BMX won that contest and the crew rolled in hard. Throw in a coffin box and a bonus stop over at Menifee Bikes and you have the makings of an amazing trip. Big thanks to Glenn and Jay at QBMX, Henry at East County, the whole Menifee family, and most importantly the kids who came out to shred with the crew!